This photographic installation is about the lives of the inhabitants of a specific place who are separated by 3.2 million years. The place is in the Afar Rift Valley of Ethiopia where the “lucy” skeleton was discovered in 1974 by Dr. Donald C. Johanson. Part of the installation is about digging up clues to the past: looking for fossils of early man; examining what happened geologically to allow for evolutionary transformation; and speculating about the past. 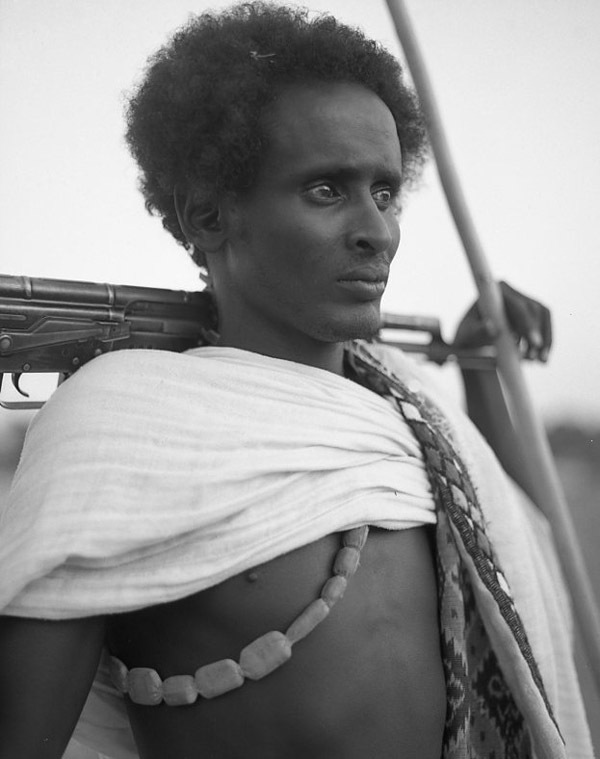 The other part is concerned with the very present and immediate lives of the Afar Tribesmen, a nomadic Ethiopian tribe, who live on the same land that is currently under study. 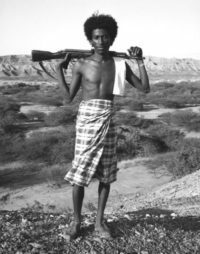 It deals with their daily existence, survival mechanisms, personal histories, traditions and death. 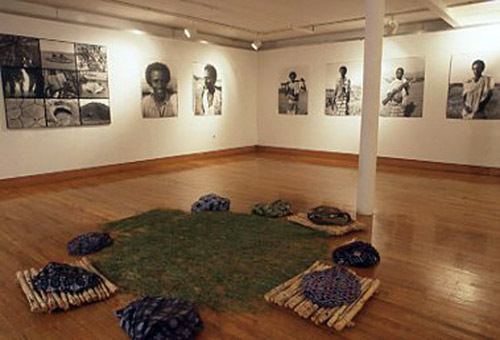 Put together, this work is about the lives of the inhabitants of a specific place who are separated by 3.2 million years and their connection to the same land. 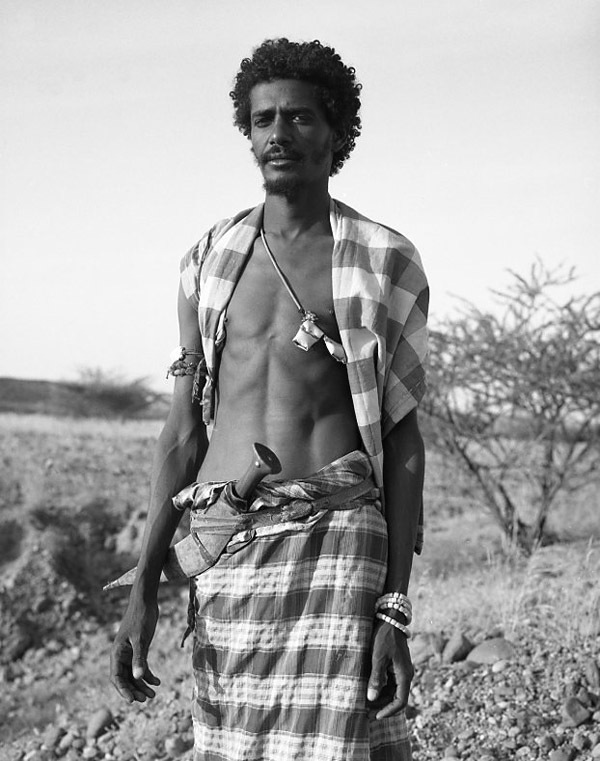 The photographs in this project were taken during the spring of 1993 in Ethiopia. The Afar Tribesmen photographed here are from the area around Eloha, in the northwestern area of the Afar Rift Valley. 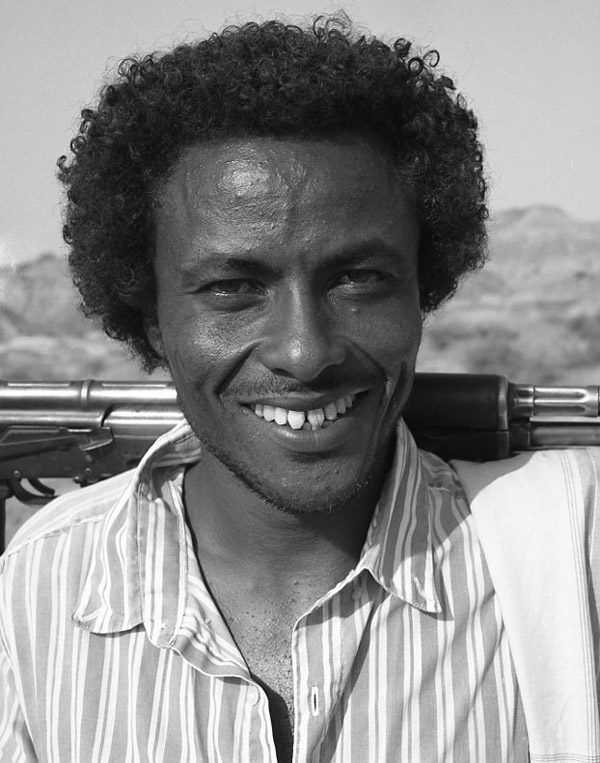 I was working with an international scientific expedition based at the Institute of Human Origins, Berkeley, California, called the Hadar Research Project.It was in this specific area of the Afar that “Dinkinesh”, the “Lucy ” skeleton was found in 1974. 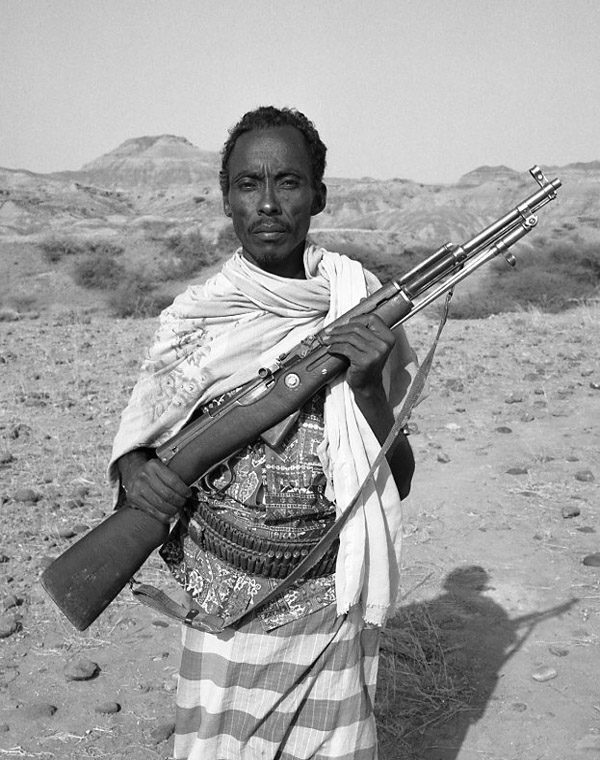 The Afar were hired to act as “zabanaas” (guards). They are instrumental to the success of the project. Their knowledge of living on and knowing the land is invaluable. My job was to photograph the expedition in its entirety: the daily work life of the paleoanthropologists ad geologists; camp life; fossil cataloging and the landscape on which they were found. The temperature was hot, the humidity high, the landscape dramatic, the stars brilliant, and the work constant. 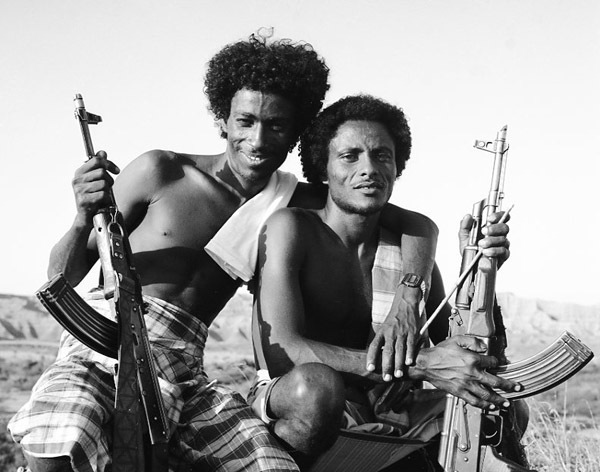 The trust and friendship that develops between who work and live together in extreme conditions are unique. It is the respect for each other that allows acceptance of all shortcomings. It is admiration that allows us to delight in each other’s strengths. It was under these conditions that I made these photographs as truthfully as I could. 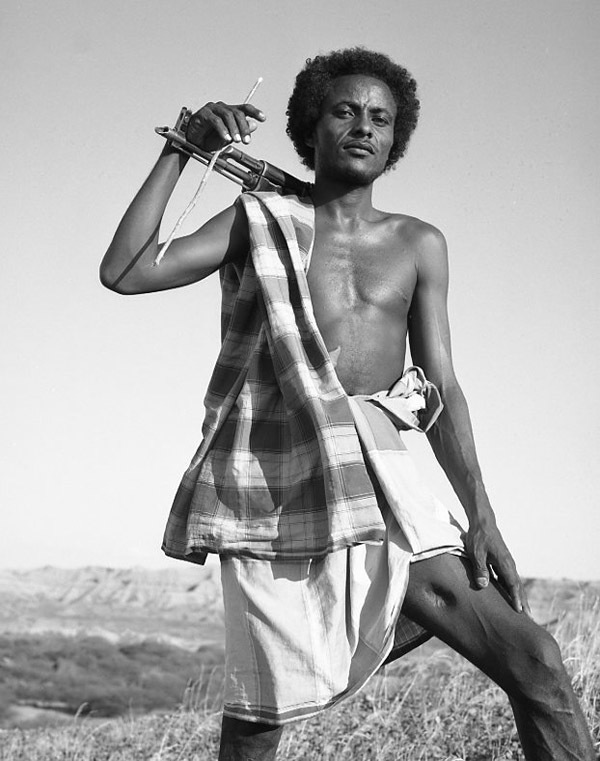 Almost everything in the afar life is done in circular patterning: their movable dwelling; their graves; their pancaked-stle food ( injera); their praying circles. Ultimately, the installation deals with the circularity of life. While scientists are digging up old bones and learning from the past, new bones are being buried from the recently deceased. It is this intertwining of past and present on this specific land that holds interest and raises questions about the future.